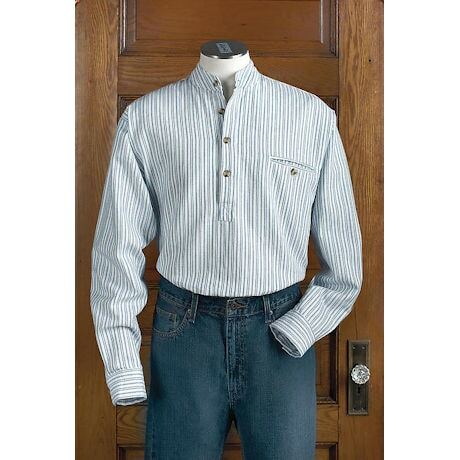 Named for the eldest man of the household, who was usually the breadwinner, the Grandfather Shirt is an Irish tradition. 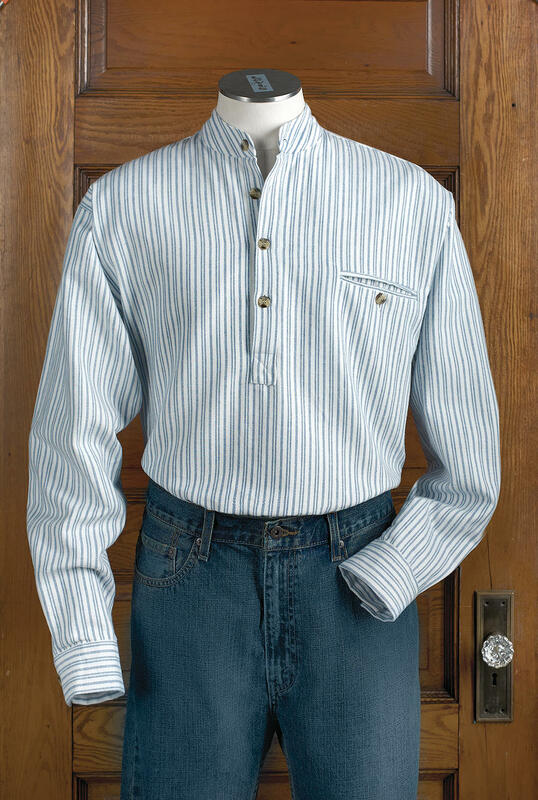 Generously cut shirt is 100% cotton flannel with a banded collar, button placket, jetted breast pocket, button cuffs, and shirttail hem. With every wash and wear, it gets softer and cozier. Machine wash. Made in the village of Inchigeela, County Cork, Ireland. Men's sizes M, L, XL, XXL, XXXL.